Used 2015 Mercedes-Benz GL-Class GL550 4MATIC for Sale in Denver CO 80220 Weisco Motorcars, LTD.
2015 Mercedes GL550 4matic Black over Black with only 41k miles. 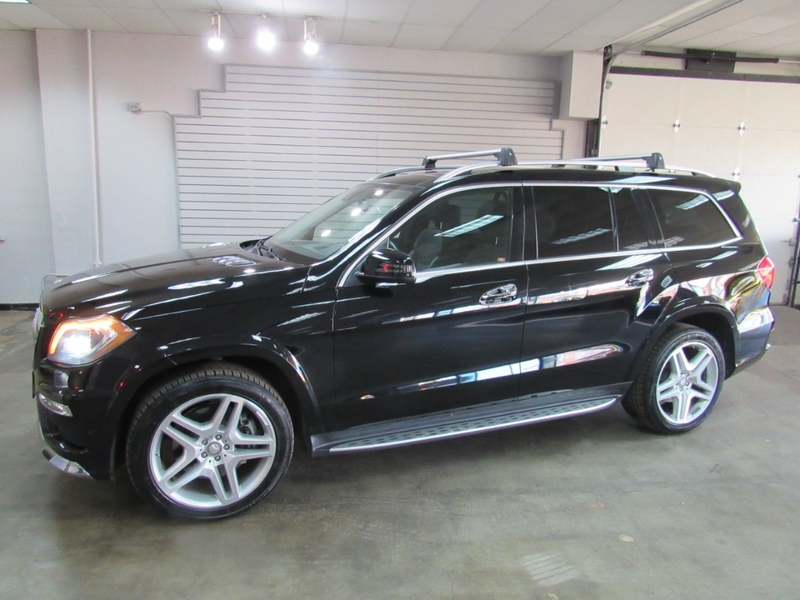 This GL550 has lot of very nice options like: AMG sport package, Panoramic sunroof, rear DVDs, keyless entry, back up camera, heated front & rear seats, 3rd row seats, power lift gate, wood trim, lane change sensing, self parking, tow package, Bluetooth, and much more. This Mercedes is ready for the new owner with new tires & rear brakes and up to date on service. Both the inside and outside are in very nice shape with door dents or chips in the paint plus has not been smoked in. Call Weisco Motorcars for more info or to set up a time to stop by for a test drive of this very clean Mercedes.